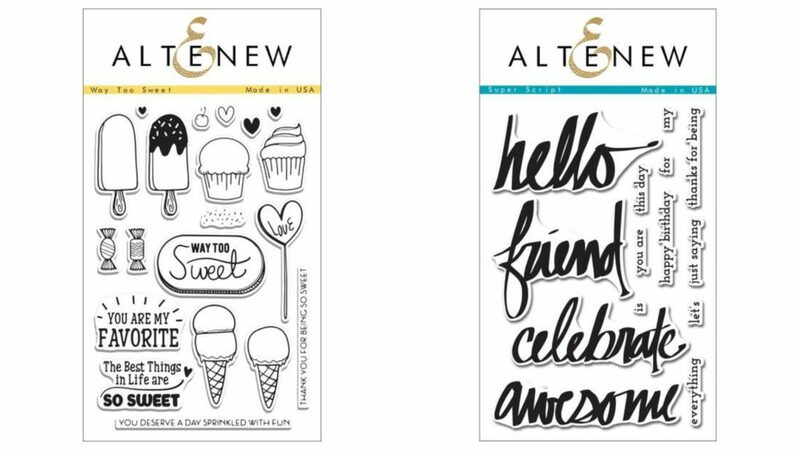 Hi Altenew Fans! It’s Flóra here. Summer is here which means ice cream is legal for the kids and no more worries of sore throats. 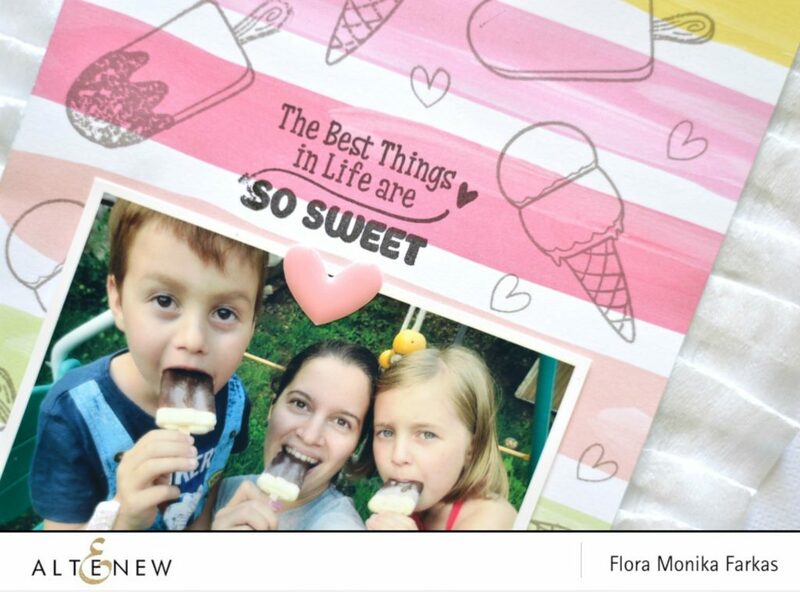 I documented one of this summer sweet moment, a selfie with my niece and nephew and with ice creams, of course. I stuck to this fun candy colored Dear Lizzy patterned paper so I had to find the way how to combine it with the Way Too Sweet stamp set. I made a super easy layout this time. 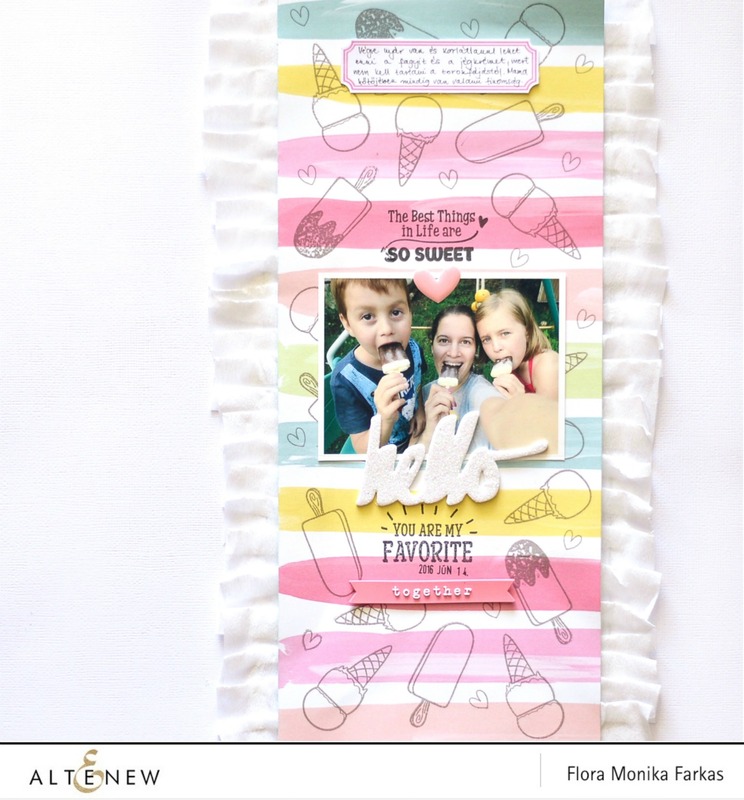 I cut a wild paper strip and stamped on it with ice lolly and ice cream shapes from the Way Too Sweet stamp set. I usually use the Moon Rock ink for this kind of stamping so the print won’t be too intense. For the sentiments I chose the Jet Black ink as I wanted to make them pop out. I made my own thicker title from self adhesive glitter foam sheet and hello die from the Super Script Die Set. I really love the result. You can find the process below in the video. I was not satisfied with the result so I was changing my mind several times. First, I scattered tiny hearts between the ice creams as I felt the patterned paper is too empty. Then I thought the whole layout is too empty, something was missing so I added a white pleated crepe paper on both sides of the paper strip. Don’t forget to check the process video to see how I created the DIY thicker title. 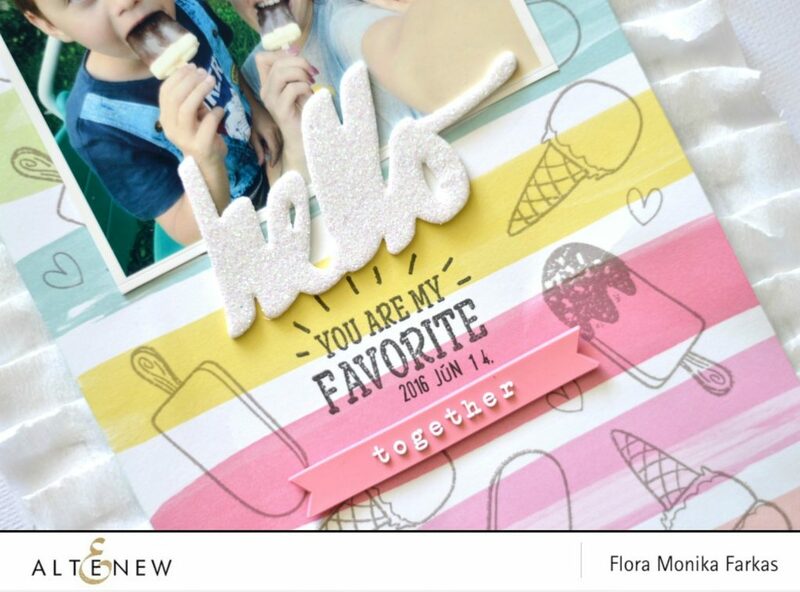 Flora – this layout is super fun, super sweet, super cool and just so full of perfect details – that picture totally makes me smile!!! Love it!